E komo mai! You want on the water? 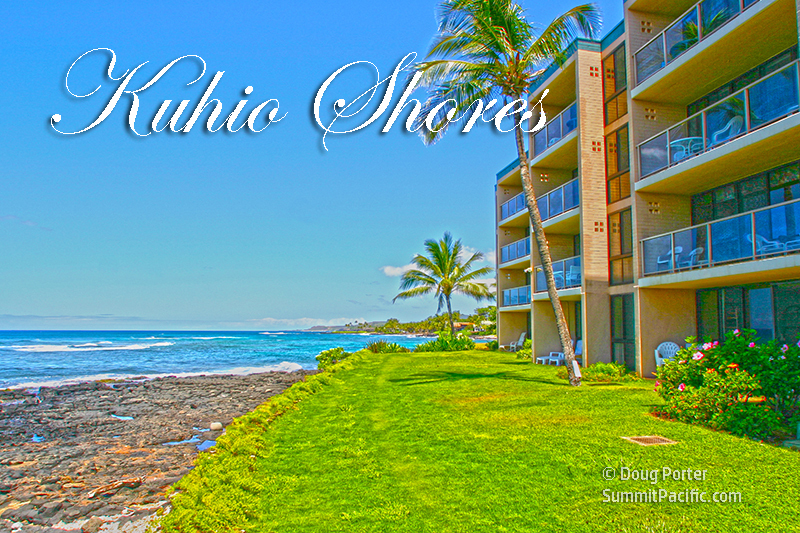 This is it and you cannot get closer to the breaking surf than Kuhio Shores 410! 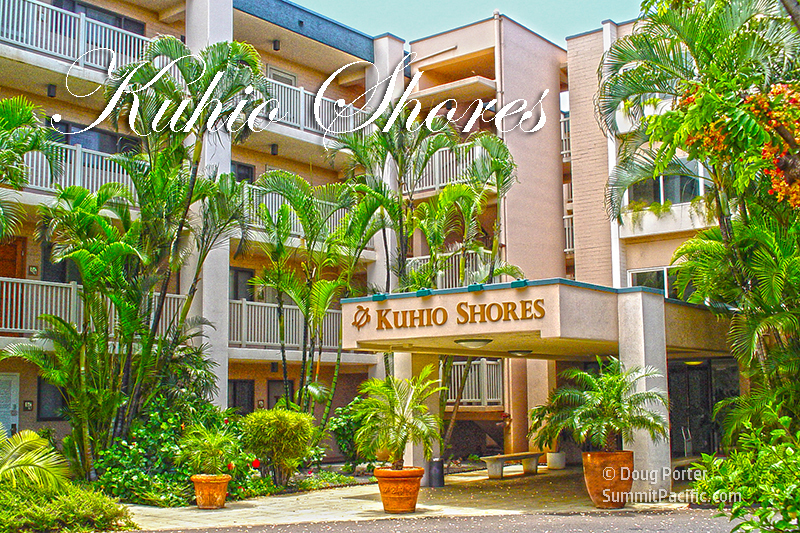 Enjoy this beautifully remodeled 2 bedroom, 2 bath condominium in sunny Po'ipu with Air Conditioning!! 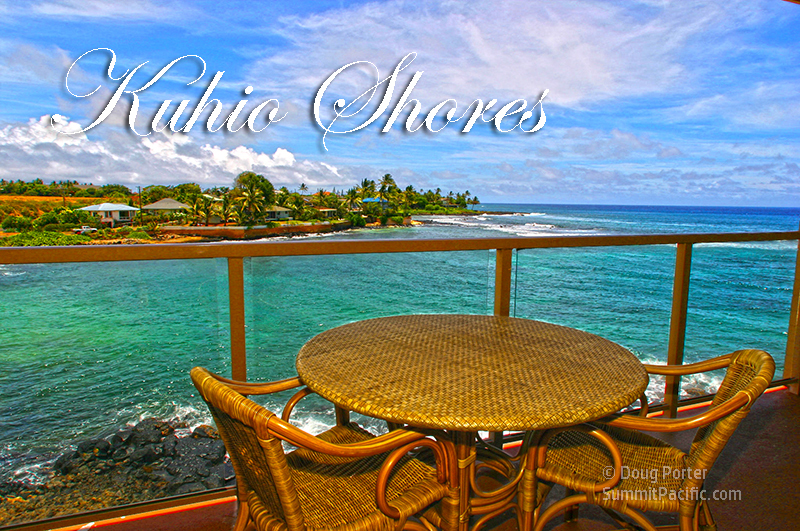 This complex is located approximately 10 steps from the waters edge, on the South Shore of Kaua'i in Po'ipu. 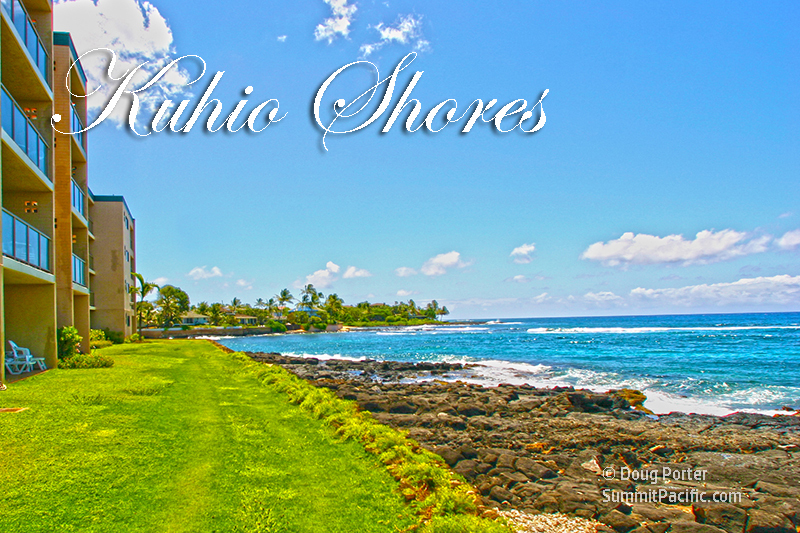 Po'ipu is well known for it's year-round sunny weather, beautiful beaches, and multiple world class restaurants. 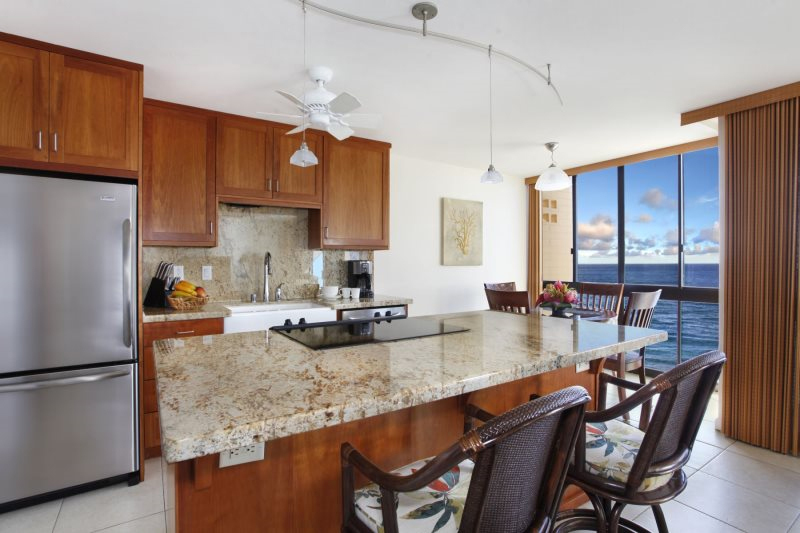 This condo was recently remodeled with a complete kitchen, granite counter tops, vessel sinks in the bathrooms, updated lighting and high quality furnishings. 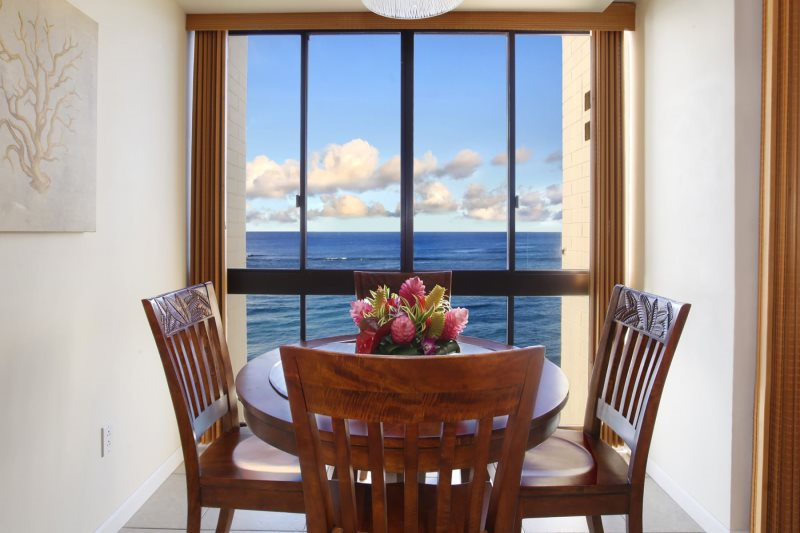 From the moment you walk in through the front door you will be amazed at the stunning ocean view. It is everywhere from your living room to the dining room, from master bedroom and from the kitchen. 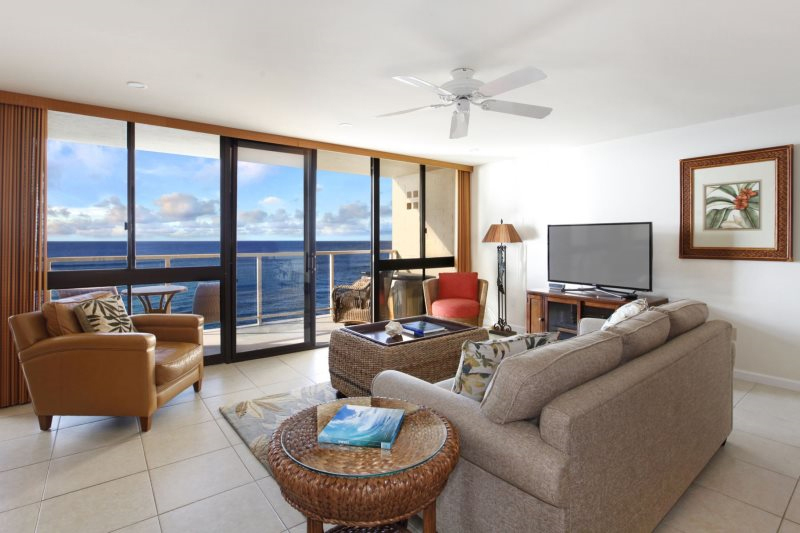 You will not only see the ocean and the breaking surf but also, during the winter months, you will enjoy whale watching right from your lanai and, year around, be able to watch our Honu (also known as sea turtles) sunning themselves on the shore or swimming in the bay. 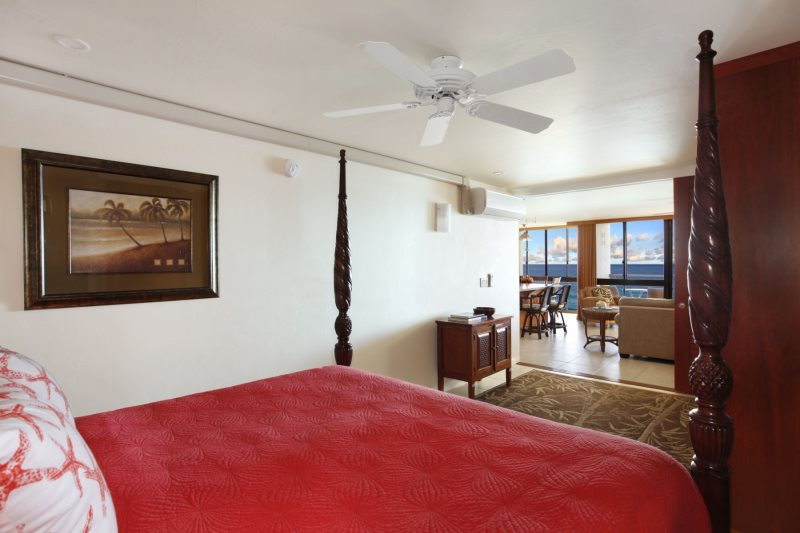 At night you will fall asleep to the sound of the ocean lapping on the shore outside your vacation home away from home. 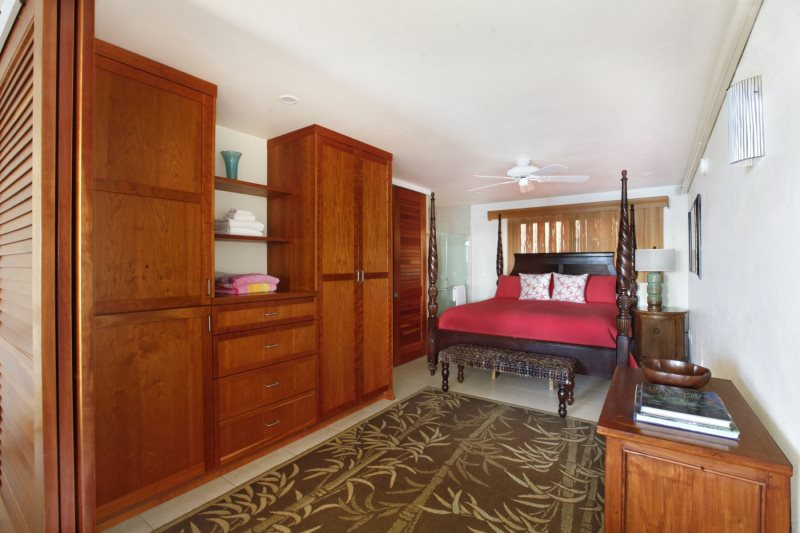 Enjoy the large, open concept living area of this property. 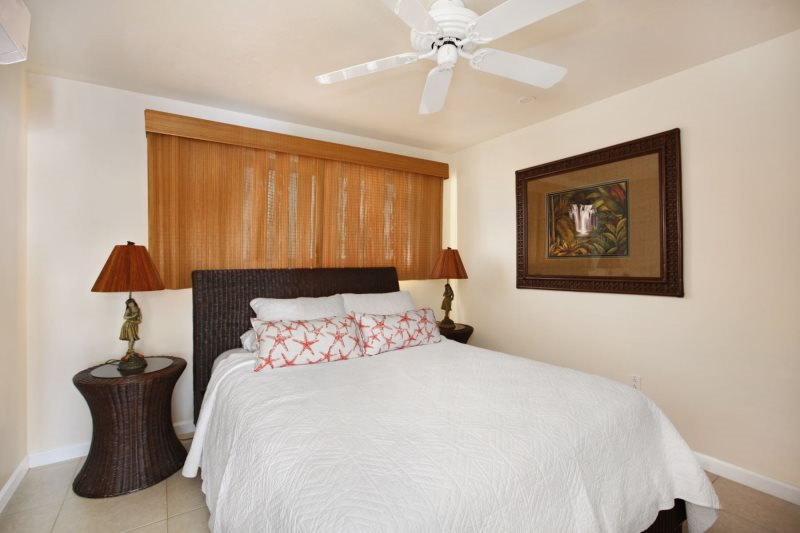 This condo offers a king bed in the master bedroom, and a queen bed in the guest room. 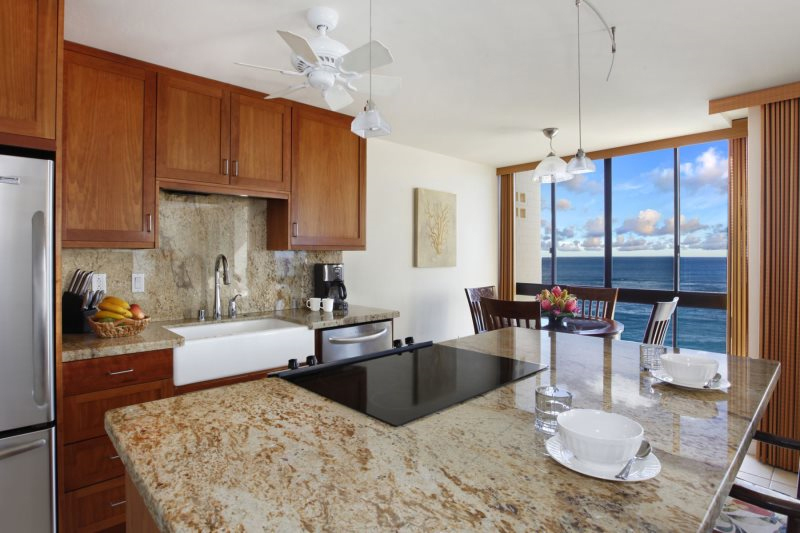 The kitchen is well-equipped, featuring stainless steel appliances. 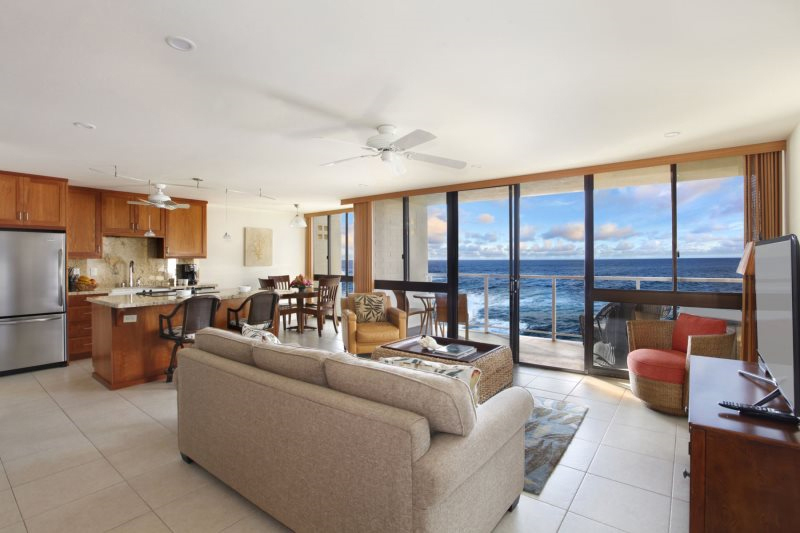 A sandy beach is virtually adjacent to this condo where suntanning, swimming and snorkeling on the colorful healthy reef can be enjoyed. Do you scuba or surf? No problem. Both are in the immediate vicinity. Located right on the water. There is a restaurant located right next door. 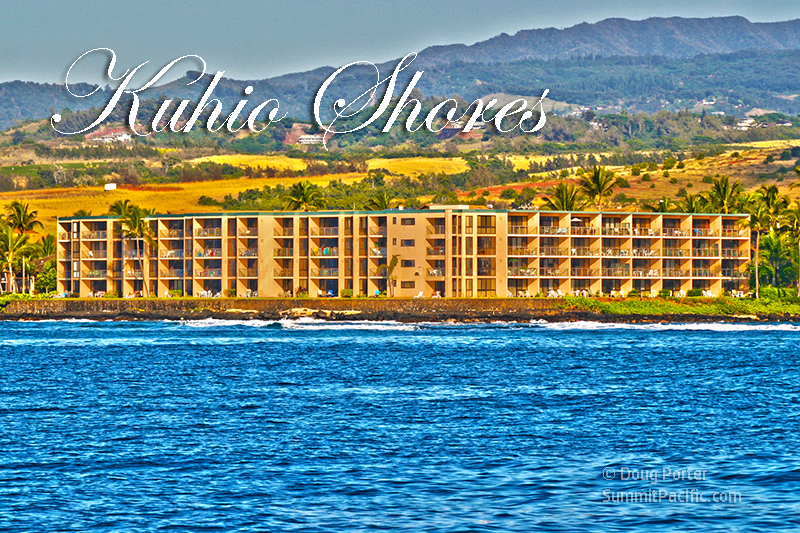 Prince Kuhio Beach is virtually adjacent to the property where swimming and snorkeling can be enjoyed. 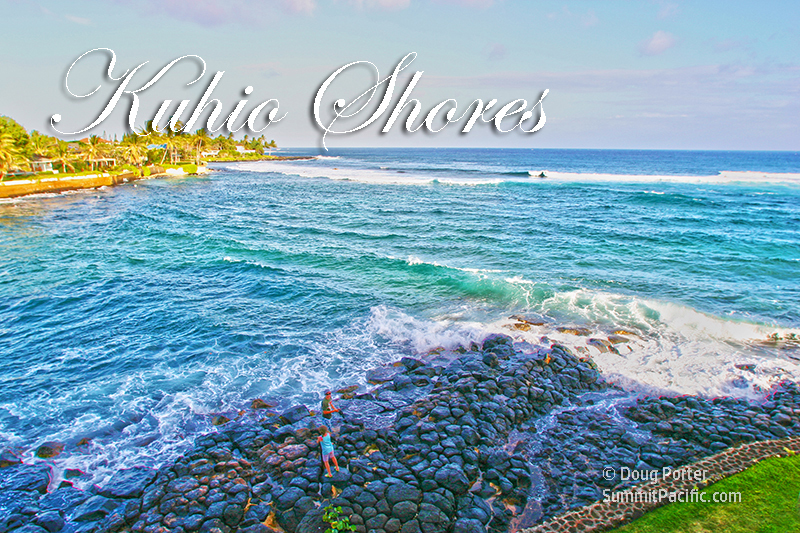 There is also a surf break off shore for the more experienced water person. 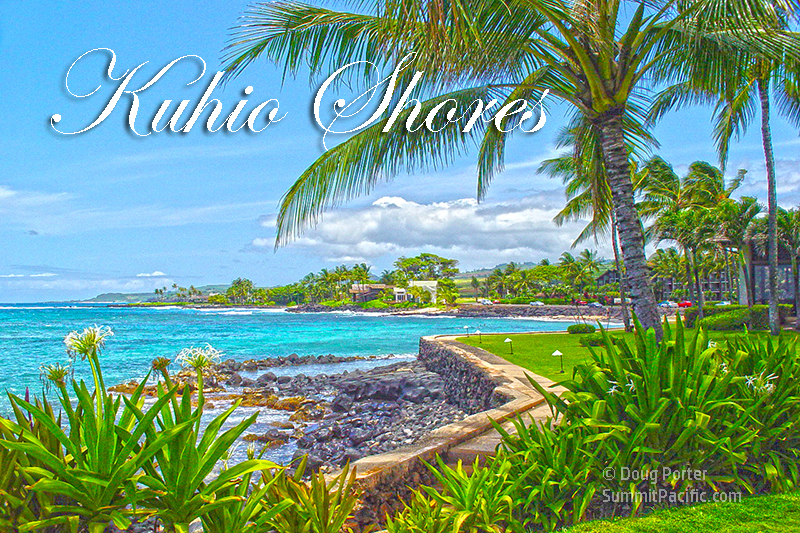 There is a small shopping center located a half mile away where more restaurants can be found as well as unique shops where various Hawai'i products can be found. 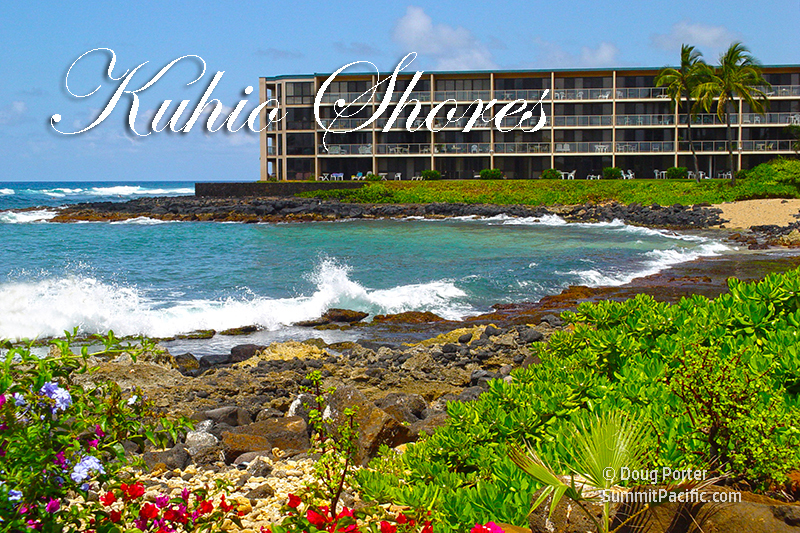 Famous Spouting Horn is also located minutes away.